This Christmas, SM Aura Premier takes customers on a stunning holiday expedition to the sparkling wild. 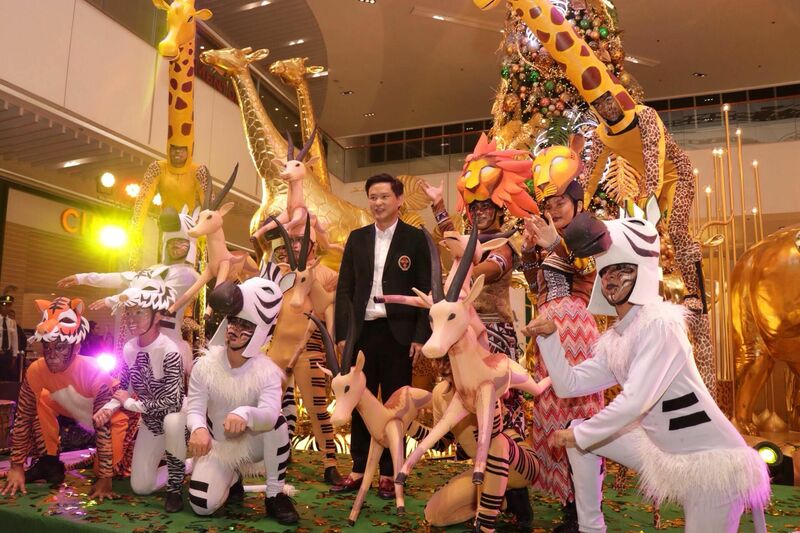 Life-size installations of majestic creatures from the safari and glittering stars and lights in hues of gold and green found their way to the gigantic Christmas tree display at the mall’s Main Atrium. During the tree lighting ceremony, the audience was treated to an African-inspired ensemble, with a drum circle and dancers decked as the animals of the wild. The program was capped off by an elegant aerial dance display, signalling the lighting of the tree.